Layering Stripes & Blue Ruffled Dress. This layering is so fantastic! I love the contrast of the blue and black and your accessorizing is so good! 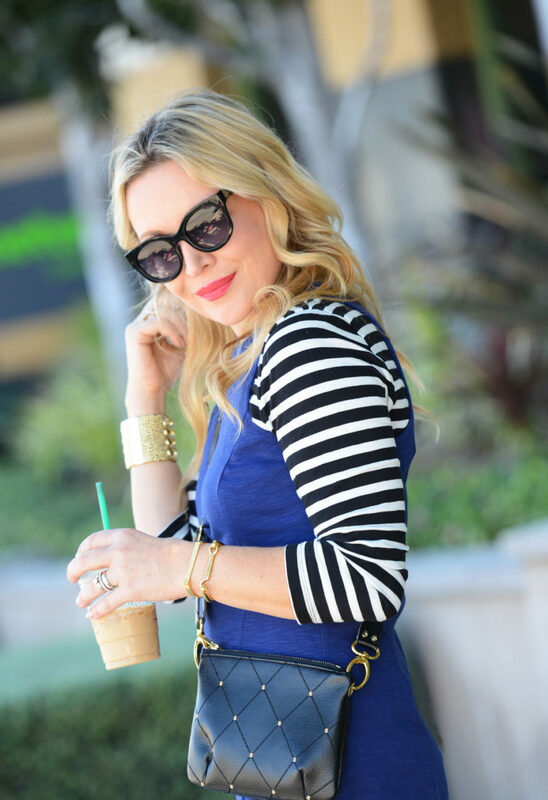 Loving how you layered this striped top under the blue dress! Such a cute idea and looks perfect together. Your blog is so cute babe! I love this combo! You look great!